1. 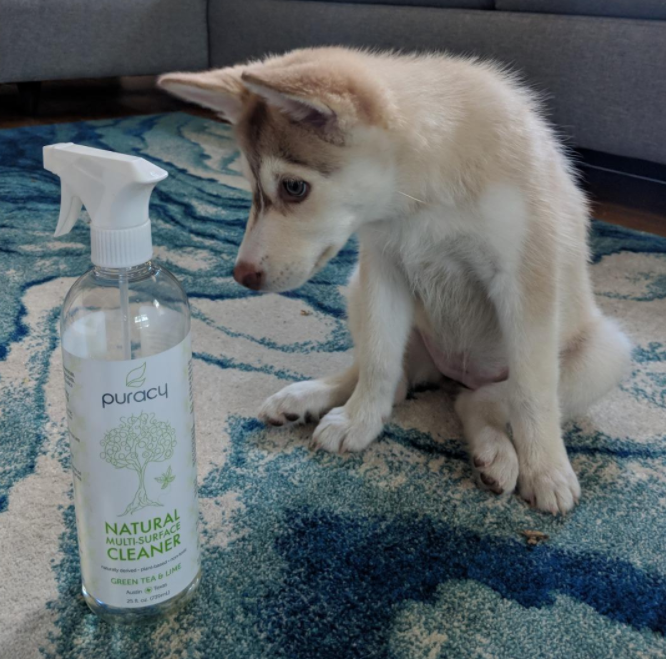 A plant-based multi-surface cleaner made from a non-toxic formula AKA this is safe around kids, pets, dinosaurs, you name it! 2. 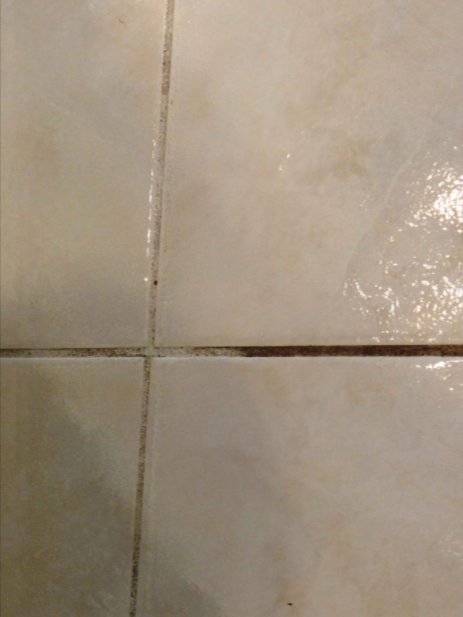 A grout cleaning spray so effective you'll wonder how you ever lived without it. Time will now be organized as "BGC" and "AGC." 3. 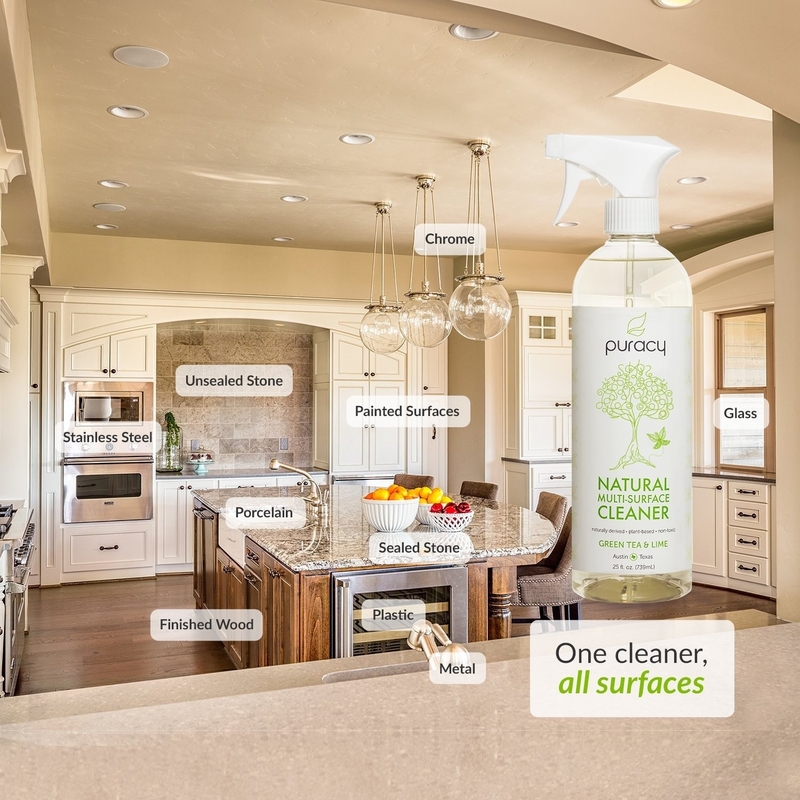 A plant-based foaming cleaner free of all the icky chemicals that usually leave a strong, headache-inducing scent. INSTEAD, it leaves a subtle hint of eucalyptus mint. 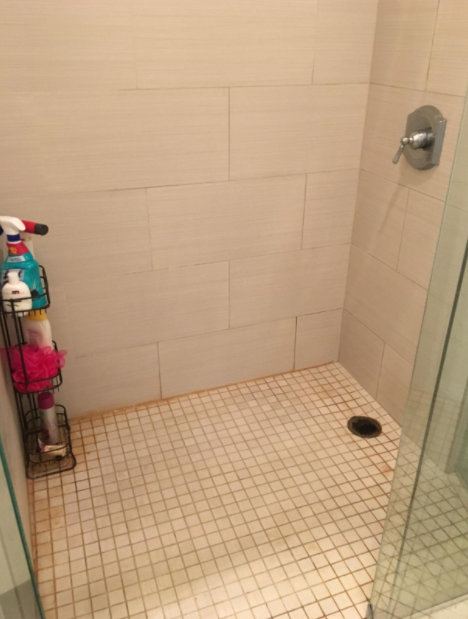 This stuff cleans up mold, mildew, soap scum, and grime in a jiffy and can be used for everything from tubs and tiles to toilet bowls and showers. Get it from Target for $3.89. 4. A pumice stone that shows NO mercy to the filth in your toilet bowl. It fights ~hard~ against your ~hard~ water stains. 5. A drain protector to catch all the hairs that would otherwise go down your shower drain and make a damn mess. Get it from Amazon for $12.95 (available in six colors). 6. 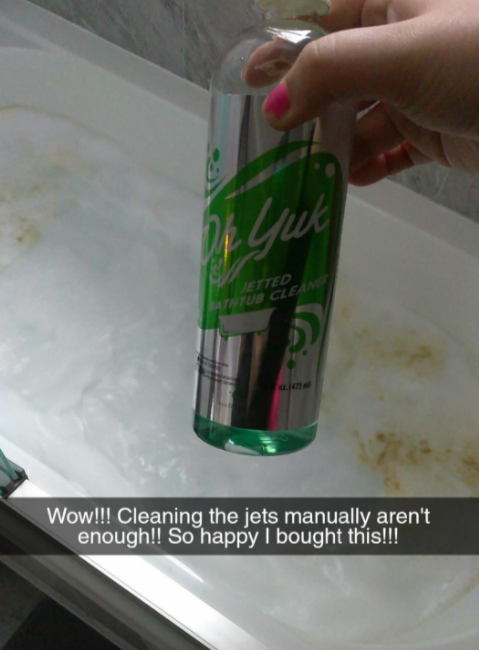 A cleaning system that lures out all the mysterious hidden gunk in your tub, because NO ONE should cool their jets. 7. 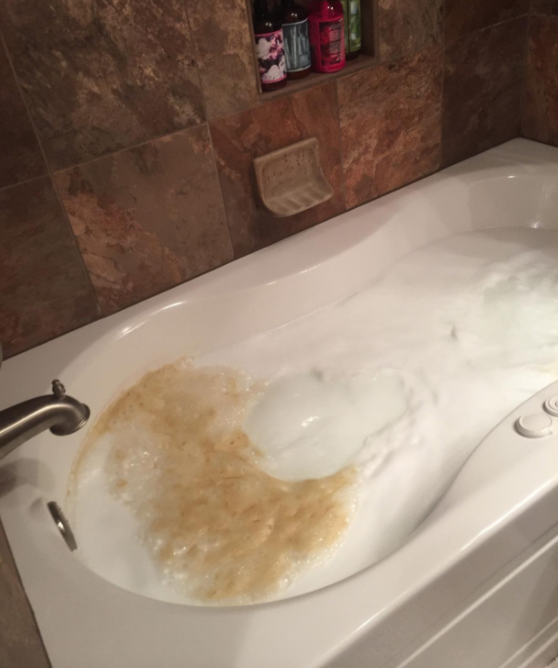 A tub and tile cleaner made from plant-based ingredients that are 99% naturally derived. 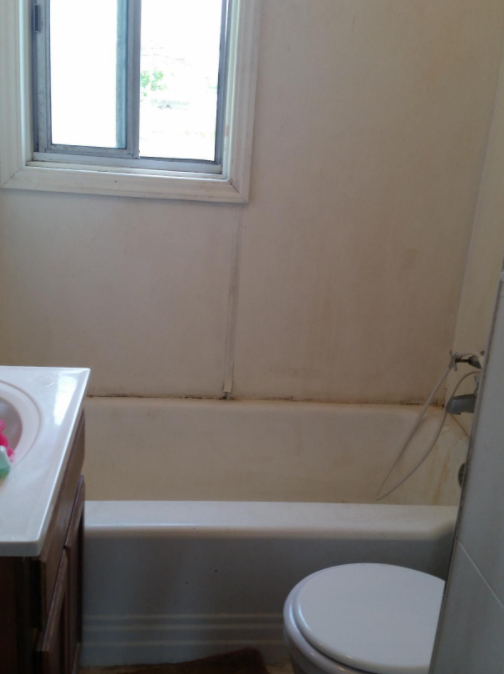 Now say GOODBYE to dirty shower doors and rust-infested toilets. Get it from Target for $5.19. 8. 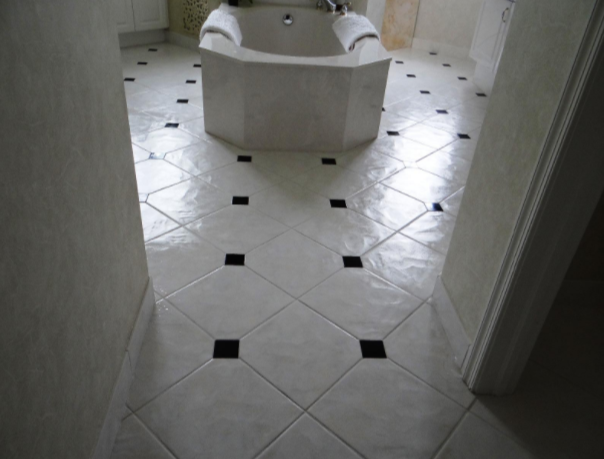 A chemical-free treatment to have your bathroom fixtures looking sparkly, shiny, and new. 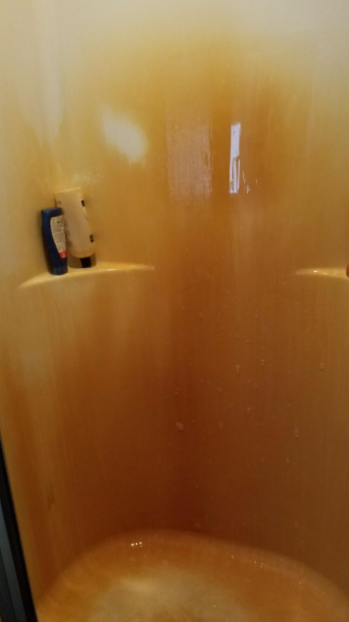 Water stains? I don't know her. This stuff also works great against alllllllll types of pesky problems. Mildew! Mold! Rust! Say goodbye to all of it. 9. An automatic toilet bowl cleaning tablet that destroys 99.9% of bacteria and keeps your porcelain throne sanitized. Plus, one tablet lasts for up to two months! All you have to do is drop this tablet into the toilet tank and BAM! It'll be continuously sanitized and cleaned with beach for months at a time. Get a pack of 8 from Amazon for $17.08. 10. 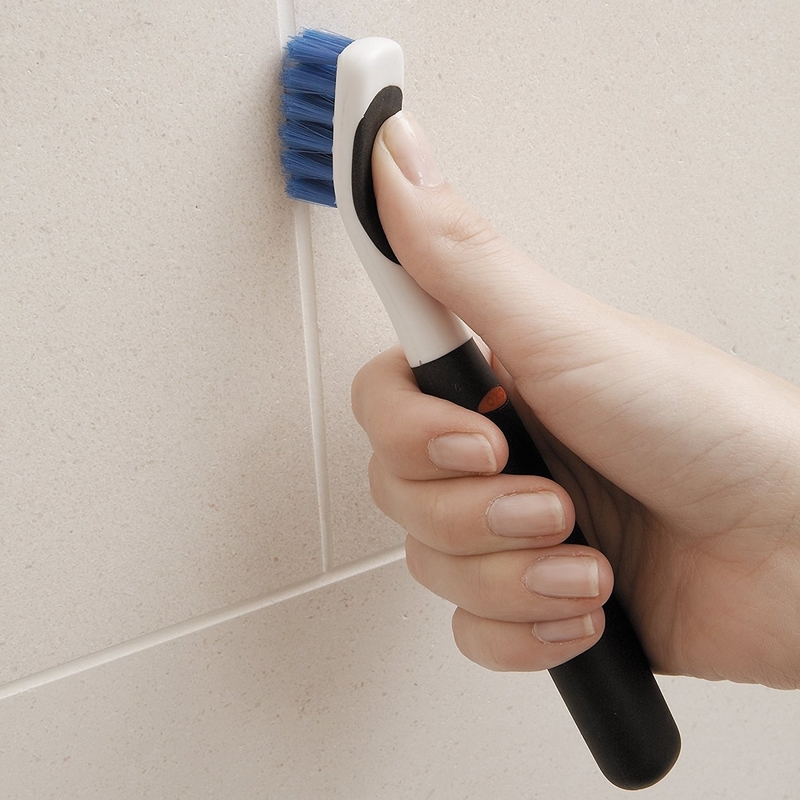 A power scrubber that'll replace the ratty old toothbrush you were previously using to clean the crevices in your home. 11. A non-abrasive cleansing and polishing powder perfect on porcelain, copper, glass, tile, stainless steel, plastic, and brass. Get a pack of two from Amazon for $9.27. 12. Antibacterial wipes that can clean and sanitize any surface of your bathroom. And when you're done? FLUSH! No need to worry about a backed-up septic tank. That's right! Not only do these citrus-scented wipes kill up to 99.9% of bacteria, but you can flush 'em down the toilet! Get a pack of 28 from Target for $3.19. 13. A spray gel for anyone whose cleaning products have been a little ~rusty~ lately. This'll get rid of hard water rust build-up like it's no one's business. 14. 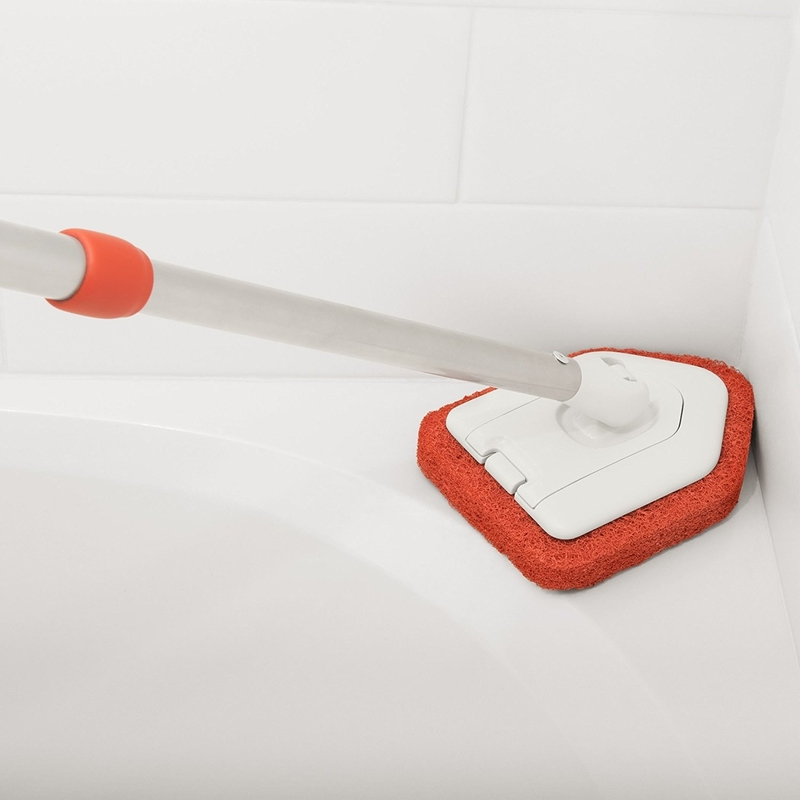 An extendable scrubber for anyone who hates cleaning because the resulting back pain is COMPLETELY inevitable. 15. A bleach-infused toilet bowl cleaner designed with a unique dispensing nozzle that lets you get riiiiight under the bowl rim — without scratching any porcelain in the process. Get a pack of two from Target for $3.72. 16. 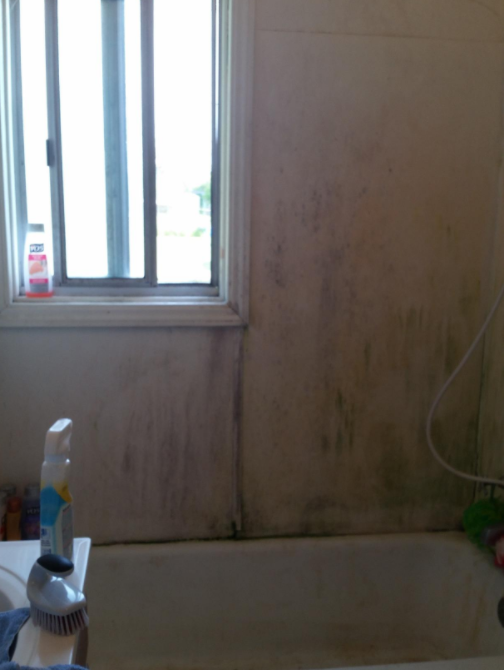 A mold- and mildew-removing spray guaranteed to go full Terminator mode on all bathroom scum. Sayonara, you won't be missed. 18. A spearmint toilet bowl cleanser currently on trial for multiple murders. The victims? The influenza A flu virus, staphylococcus aureus, rhinovirus, and salmonella enterica. That's right, this toilet bowl cleaner kills 99.9% of household germs and bacteria with no remorse. 19. A disposable toilet cleaning kit designed to clean the crap outta your toilet bowl. Literally. Get this kit from Amazon for $8.88. 20. An electric power scrubber that does all of your horrible Cinderella-esque chores for ya. Repeat after me: NO MORE HAND SCRUBBING FLOORS. 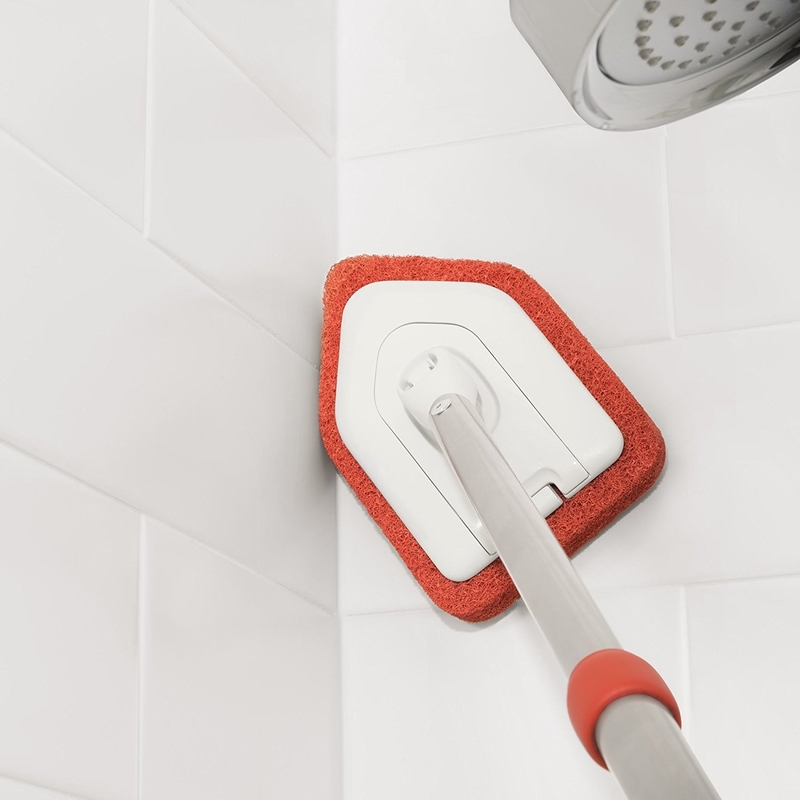 Promising review: "The large suction cup that holds this squeegee in the shower works perfectly. And unlike many metal squeegees, this one is very lightweight, so it will not pull itself off the wall. 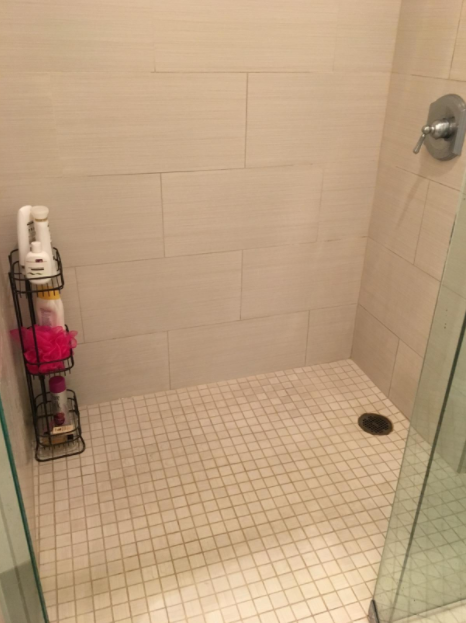 This does what it is intended to do — it keeps my glass shower doors looking clean and free of soap scum." —Steven M.
22. A handy-dandy brush set with the ability to reach all those tiny, gross areas that you definitely don't clean enough. 23. 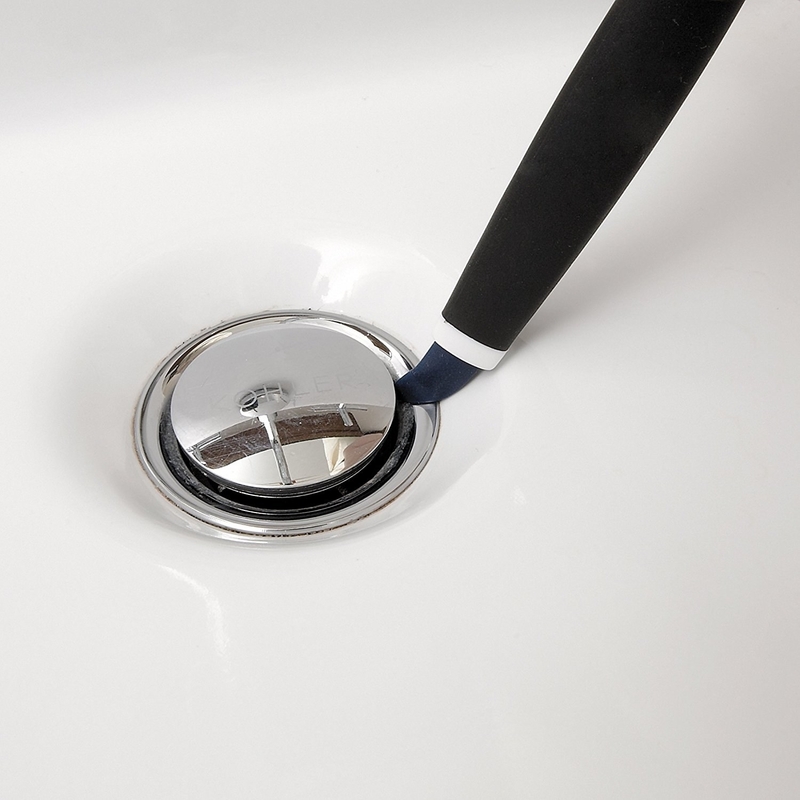 Sanitation sticks that prevent yucky odors and clogged, backed-up drains by breaking down grime. 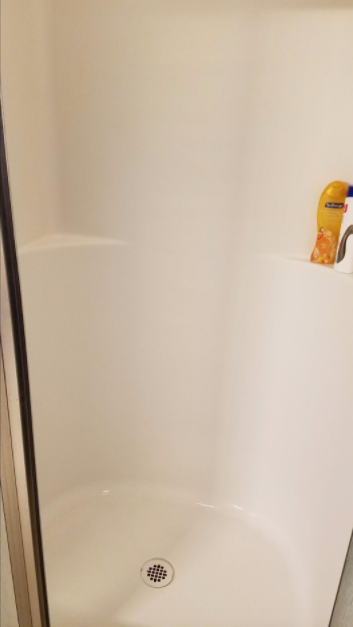 This is perfect for showers, sinks, and septic tanks! Get a pack of 24 Target for $9.99.